Abbie’s first-semester anatomy instructor, Sophie Feng, MD, PhD, has won a national research grant to assess the difference. Dr. Feng received a 2019 Sam Drogo Technology in the Classroom Award, one of three national grants awarded to members of the Human Anatomy and Physiology Society (HAPS) who demonstrate the innovative use of technology to engage undergraduate students. Dr. Feng’s research will compare student success in learning anatomy through more traditional, cadaver-only laboratory instruction versus a combination of Anatomage and cadaver learning experiences. In May, she will have the opportunity to present her results in a workshop at the HAPS conference in Portland, Oregon. 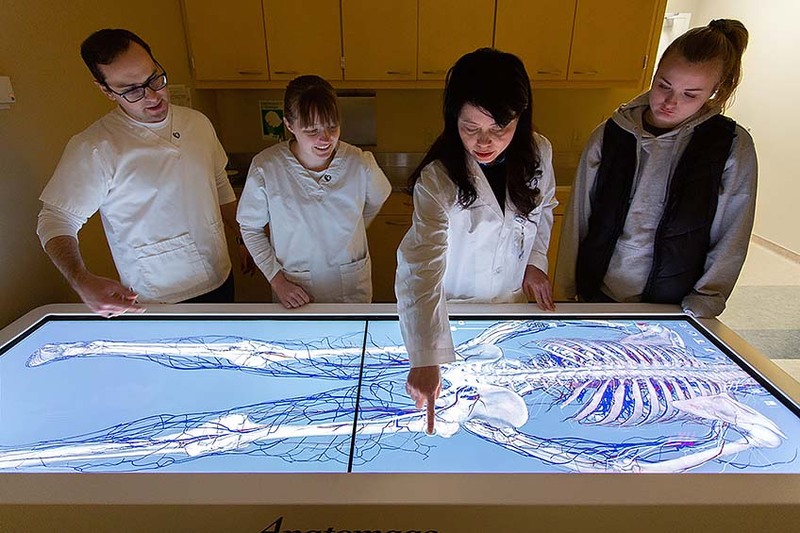 The Anatomage table is used by many of the world’s leading medical schools and institutions for both educational and clinical applications. 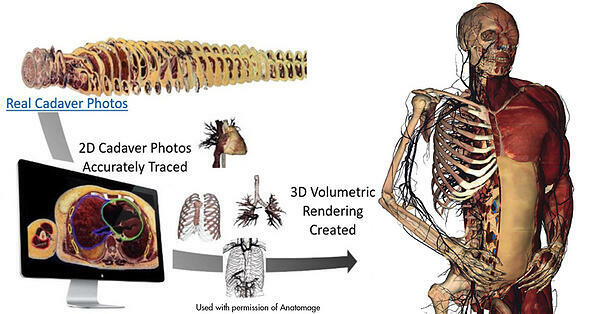 On the life-size touch screen, users can interact with four young, well-preserved digital cadavers with great anatomical and pathological variation. The four bodies, two male and two female, were immediately flash frozen after death, preserved in a special solution, and sliced in thicknesses of .2 mm or .3 mm. The slices were meticulously photographed, with tracings made of each structure through every slice, and the images were rendered by 3D modelers for an unprecedented level of anatomic accuracy. 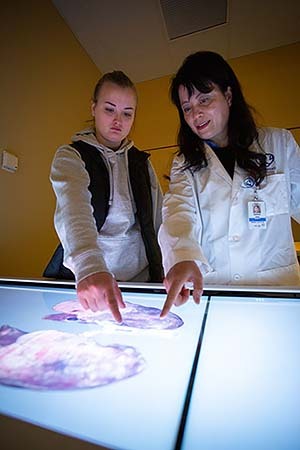 At NMC, the table is used in anatomy and physiology labs, with nearly limitless applications for students in nursing as well as allied health, including cardiovascular and multispecialty sonography, physical therapy, occupational therapy, radiologic technology, respiratory therapy, and surgical technology. Already, in just over a semester of use, more than 250 NMC students have benefited from the table. Students are excited by the clarity of what they can see, touch, and explore. 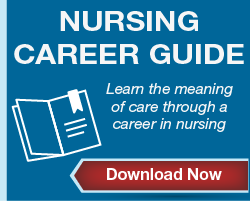 There are quizzes, special lessons, and opportunities to enlarge and rotate images. There is engagement that can translate into faster and deeper learning. 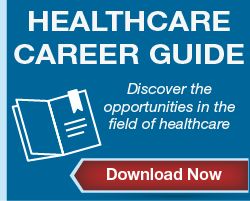 Ultimately, better visualization and better learning can translate into better care. Nebraska Methodist College is deeply appreciative of the generous donation that made the purchase of the Anatomage table possible. We thank Bob Keckler, a 30-year Methodist employee who included Methodist Hospital Foundation in his estate plans. 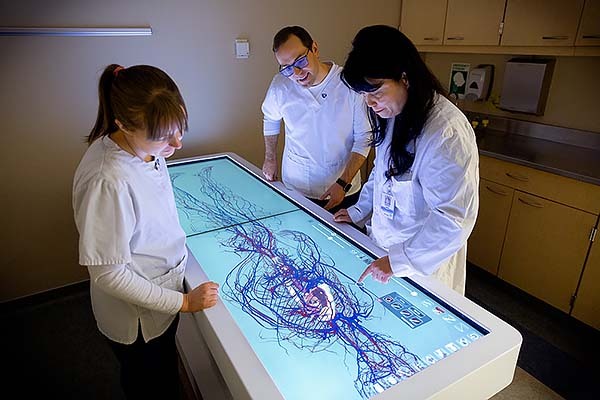 NMC’s Anatomage table was recently featured on KETV. 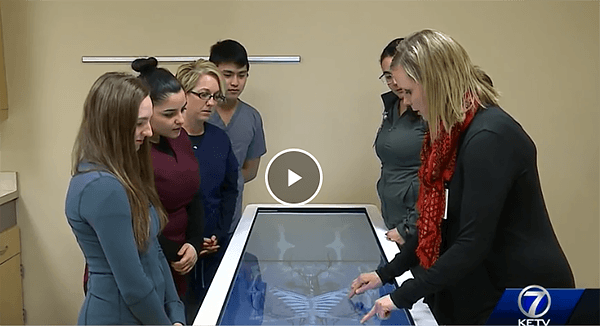 Watch as Becca Bouckaert and a group of cardiovascular sonography students use the table and describe the impact of this new technology.